Are you getting ready for Children's Book Week in Australia, Saturday 20 August to Friday 26 August, 2016? It's such a wonderful way to celebrate books and reading, and to bring in lots of fun and excitement about all sorts of learning. The theme for Children’s Book Week this year is Australia: Story Country. What an exciting theme, one with a myriad possibilities! Children's Book Week 2016 has the potential to involve cross-curriculum priorities, particularly in the areas of Aboriginal and Torres Strait Islander histories and culture, and Asian and other cultures from around the world. 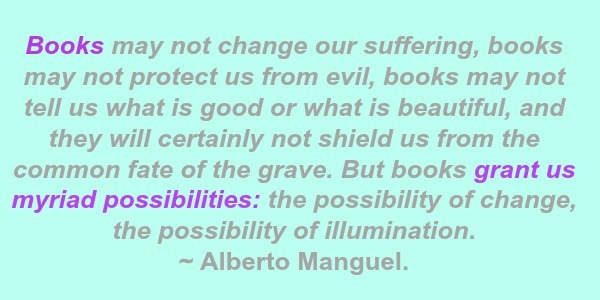 Opportunities for creative and critical thinking leap out of this theme, as does intercultural understanding. 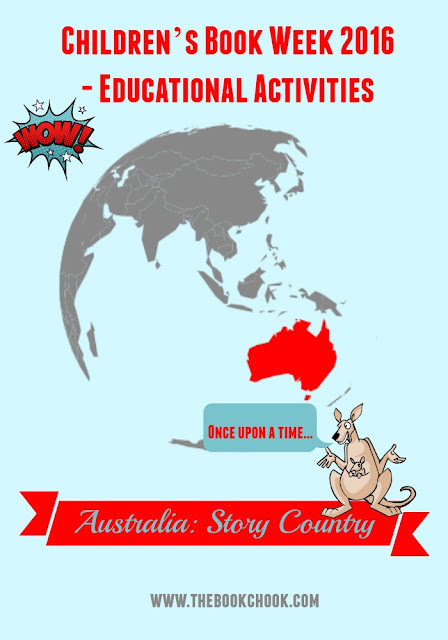 Australia draws its stories from so many places - from Nonna’s tales of the old country, from Disney, from family and community life, from millions of wonderful books and from children’s own imaginations. Story itself is the beating heart of teaching. It puts Maths and Science into context, brings History to life and underpins English and the Arts. Story not only tells us who we are, it tells us where we’ve come from and where we might go. I am talking now about Story with a capital “S”. Story in its broadest sense includes anything recounted, whether fiction or fact. We tell ourselves stories from when we’re babes. Others tell us and show us stories as we grow. At school, we learn to write stories and tell them to wider and more critical audiences. Gradually we become immersed in more and more stories and learn about narrower story foci - like storytelling: an ancient art - and advertisements: stories that want to manipulate us. I believe the very best stories we can share with kids are those that encourage them to dream. Kids need dreams - in the 21st century, more than ever before. 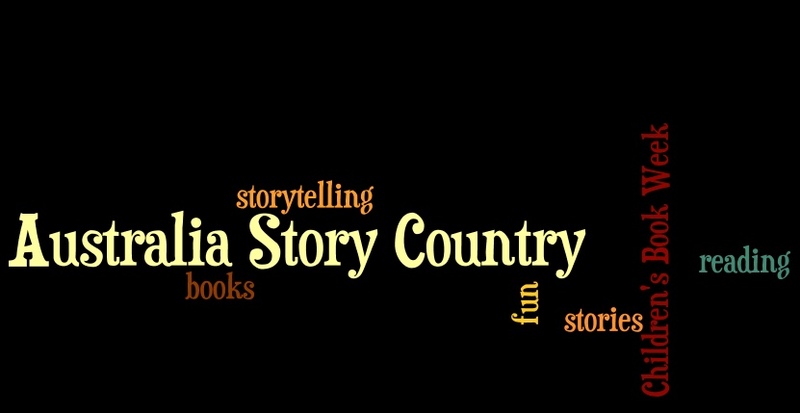 Resources abound for Australia: Story Country. Children can access personal and community oral stories fairly easily, as well as print and digital stories in school and local libraries. The internet is another source of stories, and activities about Story. I love the opportunities for kids to develop communication skills within this theme, particularly if we introduce storytelling as part of it. I hope you’ll join me on Friday for Children’s Book Week 2016 - Focus on Storytelling, and on Wednesday when I suggest a list of useful resources for Book Week. I have consulted the Australian curriculum frequently while devising all this week’s Children’s Book Week material. The English curriculum content descriptions are woven into both the discussion points and the activities I have suggested for kids, below. From Foundation, we want our children to be listening to and responding orally to others, using a range of communication skills, responding to texts and stories from a range of cultures, retelling literary text through performance, illustration and image. We want them to interact with others, analyse, evaluate, and create. What a wonderful opportunity Children’s Book Week offers for all of these! 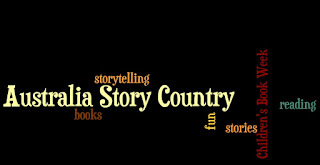 * This year’s Children’s Book Week theme is Australia: Story Country. What do you think that theme means? * Some Australian stories are told by indigenous Aboriginal people whose ancestors lived in Australia since long ago. Some Australian stories are told by people who came to live in Australia more recently. Some stories people tell are brought from other countries and cultures. Other stories are based on real or imaginary things that happened right here in Australia, maybe even in your school playground. What stories do you know? Do you know the same stories as other people in our class? * Do you know any Australian stories? Compile a class list. Think about your list. How many of those stories did you get from books? What other ways are stories transmitted? What makes a story Australian? Does it need to be a Dreamtime story? Does it need to be set in Australia? Does it need to be made up by a person who has lived in Australia for a long time? * What exactly is a story? Where are stories found? What are some stories you remember? Are stories important? * How can we tell if a story is true? * We all have stories. How can we share them with each other? Where can we share stories online? * How can we discover other people’s stories? * Are you a listener? Are you a storyteller? What skills do listeners and storytellers need? * What are the earliest stories we remember? Are the stories WE remember the same as other kids’ stories? Why? Are there any simple stories that almost everyone remembers from when they were young? * What Australian stories do we know? What Australian stories would we like to discover? * How will we share our own stories for others to see/listen to? * Can we create our own stories without any movement or sound? * How do people tell stories? Can people tell stories without words? Do they ever tell stories through art, dance or photography? Try to find as many different ways of telling stories as you can. * A Native American proverb says, “Tell me a fact and I'll learn. Tell me the truth and I'll believe. But tell me a story and it will live in my heart forever.” What do you think it means? What stories do you think might live in your heart forever? * Some stories are called fairy tales. Choose a fairy tale you know well, and find a way to re-tell it in three sentences. * Some stories are called legends. Look in your library or online to see if you can find a legend to read. * Some stories aren’t written down. Instead families and other people pass them along to each other by telling them aloud. Choose a family story you know and create an illustration of its most important part. * Some poems can tell stories. Ask your teacher or librarian to help you find a poem that tells a story. Share it with a friend. * Some games and apps tell stories. Write a blurb to persuade others to buy a game or app you know. Turn your written blurb into a performance and have a friend video it. * Use the app, Theme Poems, (iOS, Android or website) to create a short story-poem about your theme of choice. * Traditional tales and stories often came about because people wanted to explain something in their community, or something they’d noticed in the natural world. 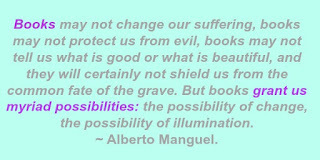 Can you think of a story or find a library book that may have originated in this way? Use a website like ABCya StoryMaker (sample pic below) to tell a story about your own world. * Choose an Australian story to re-tell in five panels of a cartoon. Think about how you will break your story down into five key panels. What images will you use, perhaps photos you set up with models or toys, or will you draw/paint? Will you use dialogue in speech bubbles? Will you use captions? What setting does your story have - space setting and time setting? How will that be shown? * Pratham Books has a Storyweaver page where you can create a story. You can use their image bank to prompt a story or start with your story first. Some images come in sets, making it easier to try to work out a sequence for your story. * Does your family have any stories about family members? Like the day Grandpa batted 100 in beach cricket, or what happened when little Susie tried to cut her own hair? Join up with a partner and swap some family stories. Use an app like Adobe Voice to narrate one story, and add graphics, sound and text if you want. * Are you a reader? Invite your classmates to compete with you to see who can read the most books before Children's Book Week in August. * Make Guess the Wordles or Tagxedos for one of the shortlisted books you have read. You could also use the Phoetic app. See if your friends can work out which book your word cloud refers to. * Use Storyboard That to summarise a book or part of a book. * Design a poll that will help you work out the top five most popular stories or books in your class. Then create a graph (for example, at Kids’ Zone) to show your data visually. * Get together with friends who love the same book as you. Create a ThingLink about that book. You might like to create a book cover to use as your ThingLink image, then embed links containing audio or text of each of your opinions about the book. * Use models or toys and props to create a scene for a story. Take a photograph of your scene. What happened just before? What might happen next? Try building the next scene, and the next, taking a photo each time until you have built a story with a resolution. 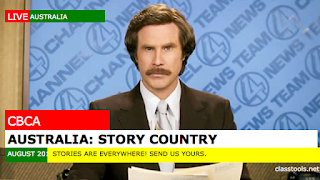 * Why do you think Australia is called a story country? Use some kind of digital device to create a presentation about this. Consider your audience and your purpose for communicating with them. * Draw or paint one of the characters from a favourite book. Take a photo of your drawing or scan it. Use Blabberize to bring your image to life by recording yourself presenting that character’s point of view about something important in their book. * Choose a story that all (or most of) the classmates in your group remember from when they were young. Divide it into scenes. Use drama to bring each scene to life and re-tell that story to the rest of your class. How can you use your voices, bodies, movements, faces, props, sound effects and other things to help you communicate that story to your chosen audience? Film your story and use a movie editing program to polish it up. * Use software like ComicLife, or an app like Comics Head, or paper and pens to create a short story you remember from when you were young. * Watch the video, Introducing Carrot, on Vimeo. Choose a vegetable or fruit to create your own story/presentation about. * Do you know any stories from ancient civilisations? Read some and see if you can discover any that are like stories you already know. What elements are the same in the stories? Which ones are different? Write a list of those elements. Choose three and create a new story of your own, built around those elements. * ClassTools have a breaking news generator. Insert captions to generate a headline about the wackiest story you can imagine. * Use bricks or blocks to build a model of a space or vehicle where characters could take shelter or escape from a dangerous situation. Use LEGO, puppets or models to “act” out the dangerous situation and the response to it. Consider animating or filming your scene. * Design a cubby that could provide shelter for four kids. In groups of four, share your ideas and come up with a final plan you think might work. How will you build your cubby? What will you do to make sure it’s safe? Why might four kids need to find shelter? What is their problem? How might it be resolved? Create a story about four fictional kids that this happened to. Decide on how you will present it to an audience. * Record yourself with a camera or via an app like Tellagami telling why one of the short-listed or notable books is so good. Share your response with an audience. * Choose a wordless Australian picture book like Window or Where the Forest Meets the Sea by Jeannie Baker to inspire your own story in words. Record yourself telling your story. * One of the discussion points is “Can we create our own stories without any movement or sound?” In groups, decide on a simple story you can tell without movement or sound. (Kids will tend to work out that mime is one answer.) Now re-tell it and add movement. Then re-tell it again, and add sound (consider voice, sound effects, music). You might also find these posts useful: Top Ways for Kids to Tell Digital Stories, Using Comics for Information Reports, Creating Digital Stories with iPad, Activities for Children's Book Week 2015. NOTE: Don't forget to come back on Friday for Children’s Book Week 2016 - Focus on Storytelling, and on Wednesday for a list of useful resources for Book Week 2016. If you want to get regular articles in your inbox from The Book Chook (3 posts a week, most weeks, about children's education and literature) enter your email address, top left, under Subscribe. NOTE: I will be sharing lots of Book Week ideas at a free seminar online at Eduwebinar on Wednesday April 20 at 8.00pm AEST. Hope to meet you there! One more thing! If you are looking for Children's Book Week 2017, click here.